Vehicle signage is the perfect way for your business to advertise. Are you looking to find an effective method of advertising that can be seen everywhere you go? It is a lot cheaper in the long run! A normal advert in a newspaper will set you back around £500 for one day, a vehicle wrap will last for 5+ years and will cost you around £1,500. It will be seen every day, every mile you travel could be a new potential customer. If you were to do the same in one newspaper every day for 5 years it would cost you almost £100,00! It can easily be taken off when you come to sell that vehicle, leaving the paintwork untouched. Either you can send us your designs or our in-house graphic designer can design it for you. Our qualified designers with all the latest professional design software and vehicle templates help to create your desired image. 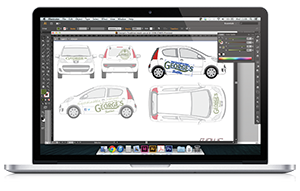 We can design anything onto these templates from your logos and brand’s imagery, to photography. Our qualified sign writers and vehicle wrapping technicians will make sure your vehicle turns out exactly as we designed it. 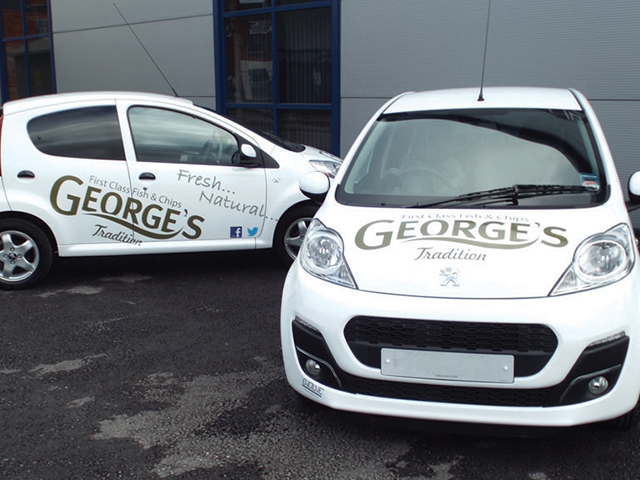 We use only the best Hexis vinyl to guarantee a long life and ensure that your vehicle really stands out from the crowd!